* In some locations the youth’s curriculum (ages 6-13) is different from the adult’s curriculum (ages 14 and up). Children’s ranks will be denoted with a long stripe through the length of their entire belt. 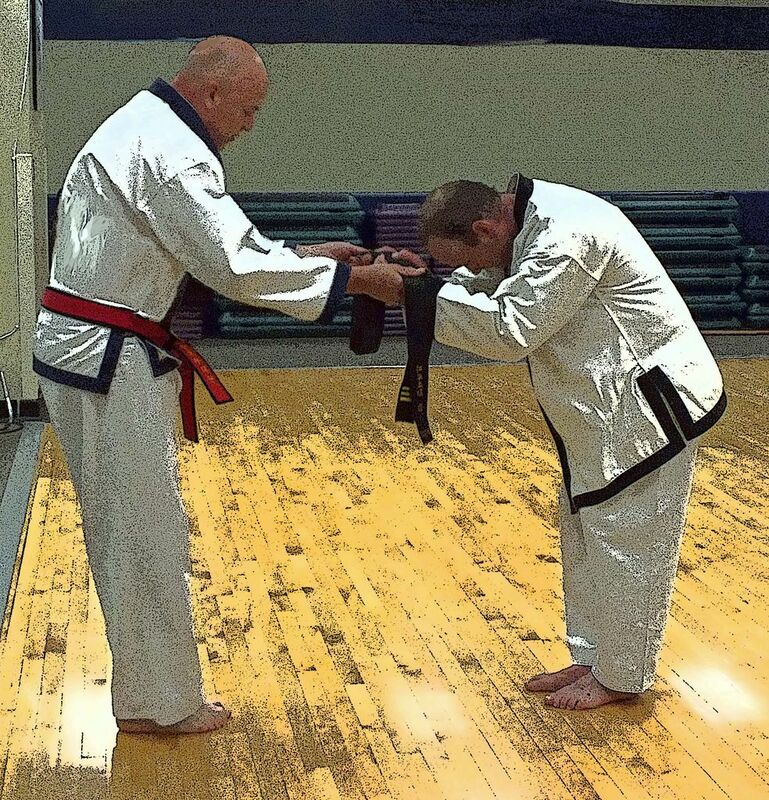 Three end stripes will be awarded at each gup (belt) rank as a student progresses: 1 strip for knowledge of basic techniques; another stripe for knowledge of the required hyung/form, and the last stripe for knowledge of the rank’s self-defense requirements. Only once a student has earned all three stripes will the instructor consider them eligible for testing for their next rank. Children whose age allows them to move to the adults class (i.e., turn 14) may keep their current children’s rank belt, but may not move up into the adult’s belt ranks until they learn the adult material up to their current gup rank. Remember: The belt you wear around your uniform does not mean a thing if you don’t have the knowledge to go with it. All students will earn their promotions. All students will wear an all white uniform with a traditional cross-over top. Red belts will wear red lapel trim on their uniform tops. Dan students will wear trim on their lapel, sleeve cuffs and bottom borders. Certified dan instructors can wear full trim below belt only. Belts will be traditional double-wrap and all rank stripes will be displayed on the left side. 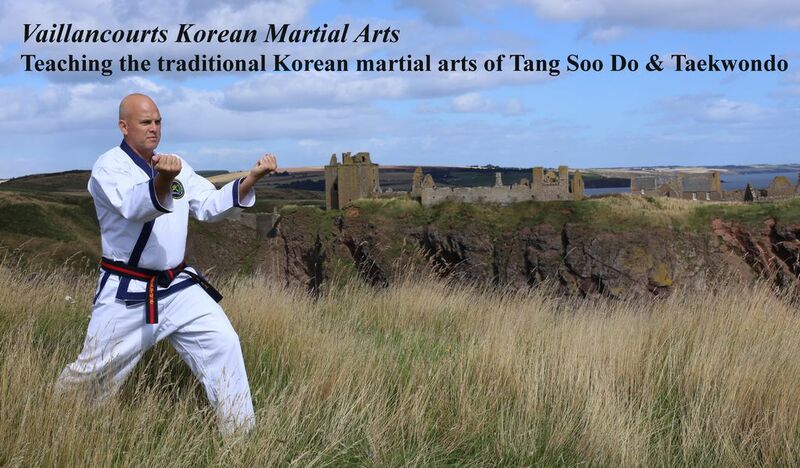 ​Kukkiwon standards will be met for Taekwondo Chang Moo Kwan and Kukkiwon promotions.